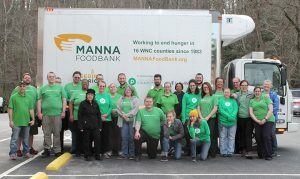 Any given weekday before 8:00 A.M., MANNA’s driving team hits the road, the truck fleet loaded with the day’s food deliveries—delivering the majority of the more than 41,000 meals MANNA distributes each day. These wheels work hard, moving food across a mountainous, rural region spanning over 6,400 square miles, and that work is expanding as the need for food continues to grow. The need to maintain a dependable fleet is paramount to our mission. 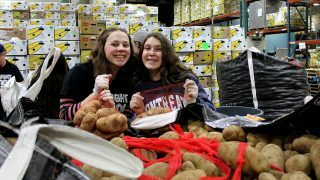 The MANNA fleet helps respond to the growing need for food by moving more food every year; food distribution has more than tripled in the last 10 years. 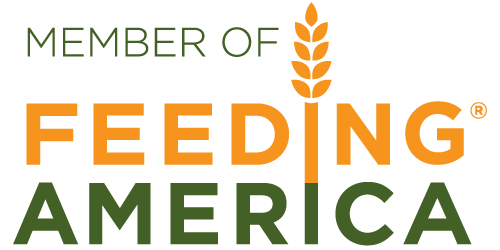 In MANNA’s 17/18 fiscal year, the fleet moved over 18 million pounds of food—a new record. The fleet is more than just a means: our trucks are treasured members of the MANNA family, with several proudly bearing the name of a beloved individual in legacy. We recently found ourselves in urgent need of vehicles to get food to people, and thanks to several incredible partnerships, MANNA has recently added to the fleet and replaced aging vehicles that are so vital to the daily work of addressing hunger. 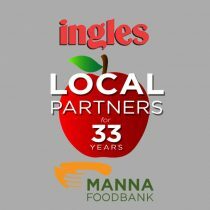 Partner Agency Capacity Van: Already working hard in Haywood County, MANNA partners are utilizing the Partner Agency Capacity van for regular pickups of perishable donations from local grocery partners, thanks to a grant from the Walmart Foundation. Small Box Trucks: Two more box trucks mean more MANNA Express deliveries to MANNA partners across WNC, thanks to several important supporters: United Healthcare, the Cannon Foundation and Publix Charities. 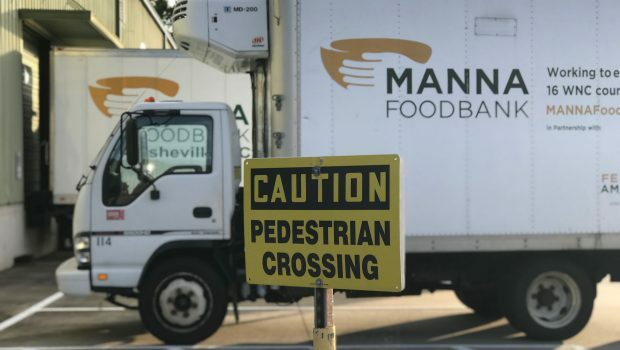 MANNA Express focuses on delivering mostly perishable foods to a partner pantry on the day they are distributing free food to their community. 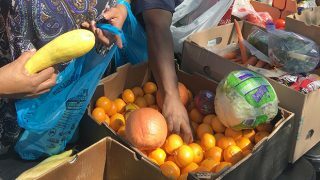 Mobile Pantry/Resource Center: In the summer of 2019, MANNA will launch the Mobile Pantry/Resource Center to get food to people experiencing great need in communities that are in both food and pantry deserts. This transformative effort will allow us to expand our reach to pockets of need we have yet to be able to reach with food support. 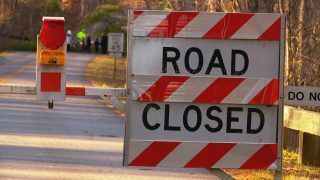 All of this is made possible by a generous gift from the Glass Foundation, complemented with support from Blue Cross and Blue Shield of North Carolina for program staffing. Dairy Express Van: As a committed partner in our work, The Dairy Alliance and the dairy farm families of North Carolina have partnered with MANNA to help increase access to fresh cows’ milk to help nourish families in need across Western North Carolina. This one-of-a-kind investment has provided the funding to purchase a refrigerated van which complements our current efforts to get healthy, perishable items in real time to people in need. It is critical that we continue to increase our efforts to maximize the amount of nutrition available to our food insecure neighbors, and this support from The Dairy Alliance will make a significant impact in our ability to provide milk to children, seniors, and families we serve. Toyota Prius: A generous donation from Bill and Lane Waas, the Toyota Prius is safe and economical tool for our outreach staff navigating the WNC roads every day.